On the day, after Bronco Bamma became the president of United States for the second time, we start up our blog. Blog of the ACMS Department students. Having no idea where it will get us, we begin with some photos. Office 215, Hurley Hall is where most of ACMS graduate students spend their lives. 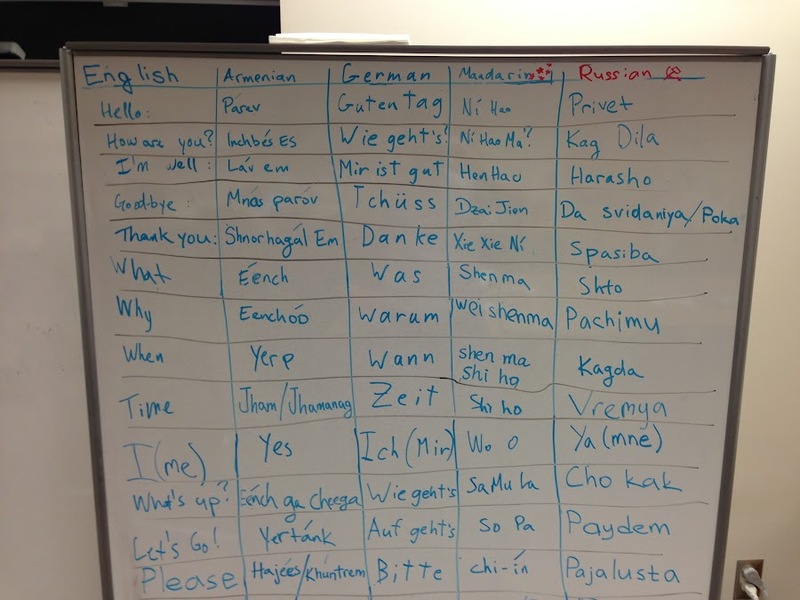 Since we have students from different countries, speaking different languages, we decided to use one of marker boards as mini-dictionary. As it can be seen on photo above, the board is right in the middle of the office. Current list of languages: English, Armenian, German, Mandarin (Chinese) and Russian. More photos will be published soon, so stay tuned.